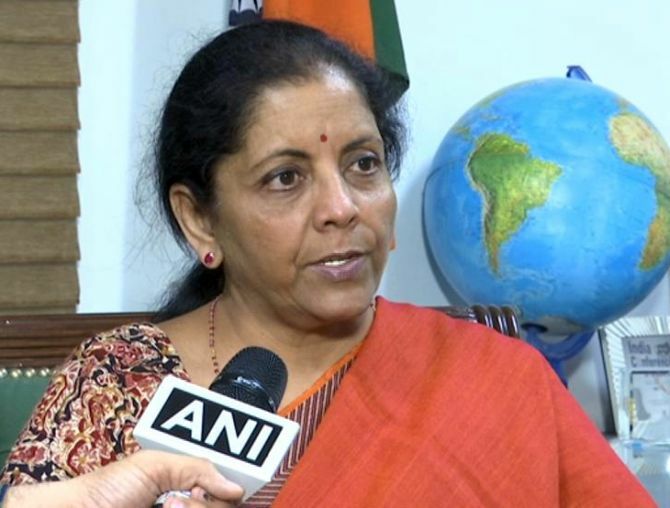 Defence Minister Nirmala Sitharaman believes that Pakistan Prime Minister Imran Khan's statement 'that there may be a better chance of India-Pak peace talks and settling of the Kashmir issue if the Bharatiya Janata Party is voted back to power', is a ploy by the Congress to oust Prime Minister Narendra Modi-led government from the Centre. "I wouldn't know why such statements are being made. Every time such statements are made and this is individually my perception and not my party's or the government's take. There have been many eminent leaders of the Congress who went there (Pakistan) to seek help to oust Prime Minister Narendra Modi. They went there saying, Modi hatane ke liye hamen madad karo (help us to oust Modi). I wonder whether this is also a part of the scheme of things which have been put by the Congress. I don't know what to make of this honestly," the defence minister told ANI. Talking about Balakot air strike, Sitharaman said that onus to prove whether a terrorist camp was hit or not was on Pakistan. She said that Islamabad was making a mockery of itself by taking defence attaches and selected journalists to a Madarsa which was not even touched by the Indian Air Force on February 26, instead of the terror training centre which was attacked. When questioned about the Indian government maintaining silence over the outcome of Balakot airstrike, the defence minister said, "Before the attack took place, many Pakistani websites claimed that the targeted terror camp was recruiting youngsters. The world-renowned notorious terrorist who handled many attacks like the 2008 Mumbai terror attack was calling out to young men to join him." "Not only this, recruiters of the terrorist outfit were even hiring retired trainers to train future jihadis. If you look into the websites you would know how many people were being trained in the camp. So from there, one can calculate an approximate number," she added. "But then has the Supreme Court said that Modiji gave this much money to Anil Ambani? Has the Supreme Court said this? When has the Supreme Court said this? Has the Supreme court even remotely said that PM Modi is not chowkidar and chori ki hai? Is this not taking liberty with the institutions? That too the Supreme Court, where every word is well thought out. It is putting words into the mouth of the court and therefore if the court is looking into the matter it is only fair," she said.